​ "Thousand year old eggs,"​ anyone? 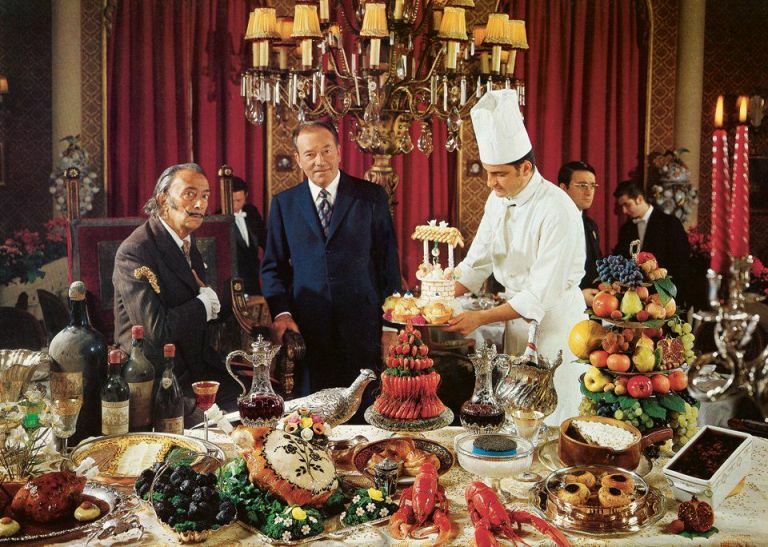 Here's something you might not know about the surrealist icon Salvador Dali: He wrote his own cookbook. And now, after 40 years out of print, it has been republished. Yes, it's as weird as you'd expect. 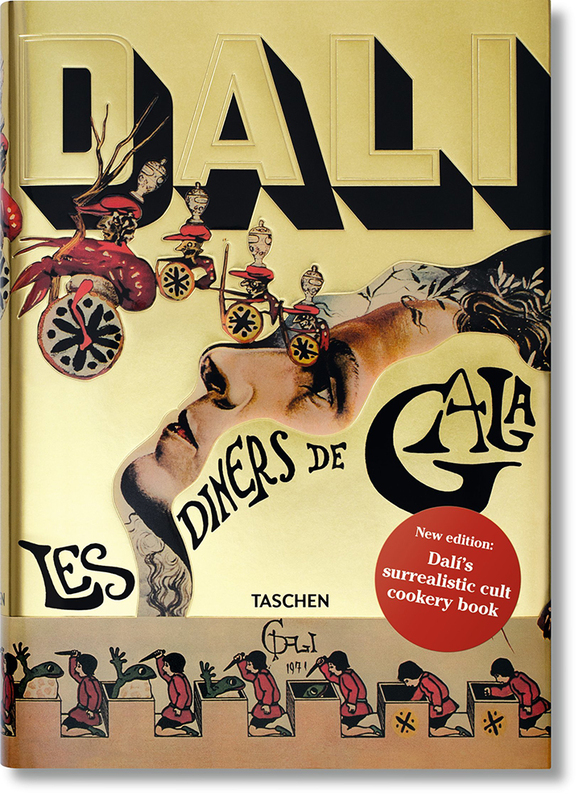 Titled Les Diners de Gala, Salvador was obviously not a fan of #eatclean as he opens the faithfully accurate reprint by Taschen with: "If you are a disciple of one of those calorie-counters who turn the joys of eating into a form of punishment, close this book at once; it is too lively, too aggressive and far too impertinent for you." 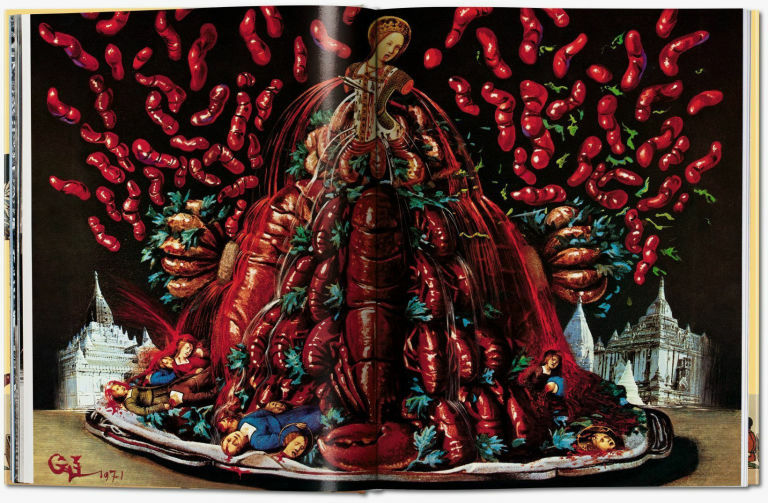 Featuring 136 recipes over 12 chapters—all illustrated by Dalí. The chapters are organised by meal courses, including aphrodisiacs and snippets of personal philosophy like: "The jaw is our best tool to grasp philosophical knowledge." 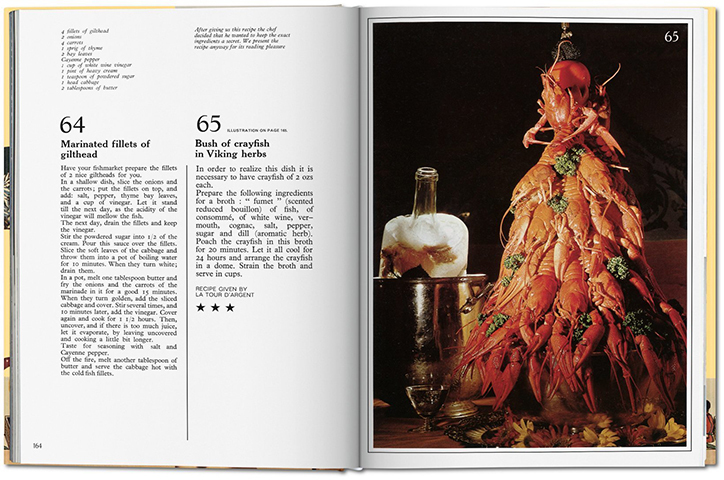 While the recipe names and accompanying artwork are typically surreal, with names like: "Thousand Year Old Eggs", "Veal Cutlets Stuffed With Snails", "Frog Pasties", you can actually cook all the dishes presented in the book, although you might need a stocked fridge and a bit of know how. 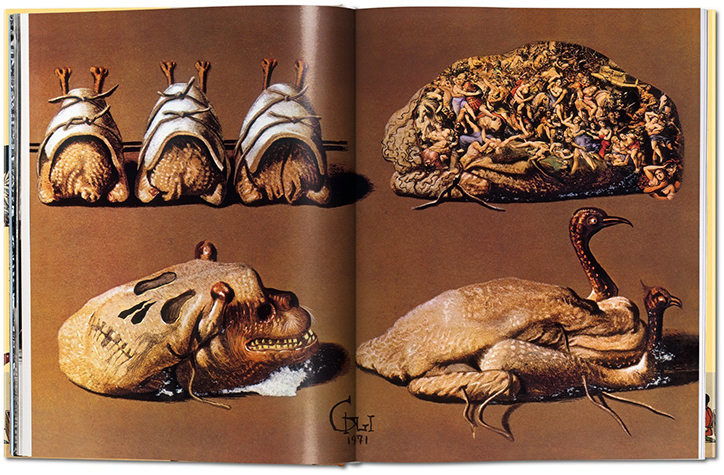 Away from the canvas, Dalí and his wife, Gala had a reputation for hosting wild and elaborate dinner parties, where guests wore costumes, live monkeys wandered the room, and food arrived at the table served in satin slippers, which sounds like a bit of fun, doesn't it? 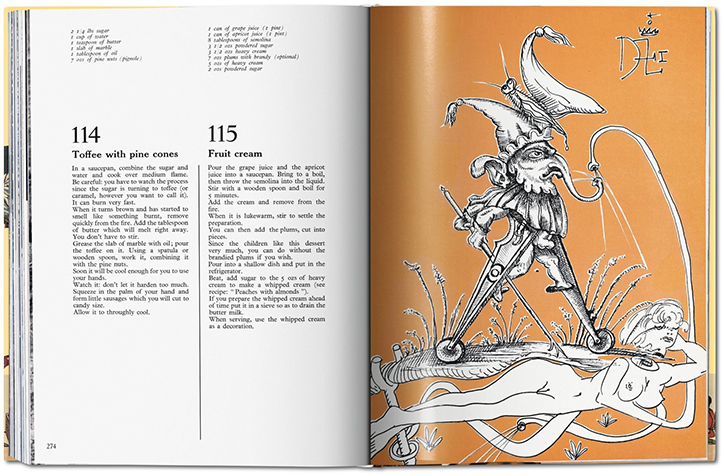 Take a look at some more images from the book below.